​This post contains affiliate links and I will be compensated if you make a purchase after clicking on my links. Thanks for your support! Here is what the dough should look like when it is all mixed. Very soft, yet it can be rolled out. Roll the dough out and cut it into cute rounds. Then cut out half of the middles. I had this scalloped cookie cutter, but I wasn't sure what to use for the centers until I found this little citrus juicer! Use what you have! I carefully placed them on a parchment lined cookie sheet in pairs. The shortbread needs to be pricked with a fork so it won't puff up. I used a two prong fondue fork to fit the pricks around the hole of the cookie and to give a decorative effect. Now they are ready to go into the oven! You have to bake them for about 17-20 minutes in a 350 degree F. oven. I was so happy with the way they looked when they came out. They didn't get puffy and they kept their shape! Yes, I know that some of the holes are off center. That is how you know they are hand made! Next, I filled them with the lemony frosting, added the top and put a dollop of my homemade strawberry jam in the middle. (You can find tips for making your own jam here. Printable canning labels for your jam are here!) The shortbread came out crisp and delicate. The filling and the jam add the perfect sweet combination to go with the buttery shortbread. My family loved them! I love when I get great results on the first try! Isn't that just the cutest little thing? I will put a list of some of the tools I used below just in case you need them, you can click and order. I hope you give these special little cookies a try! They would be great for a tea party, a baby shower, bridal shower or just because. 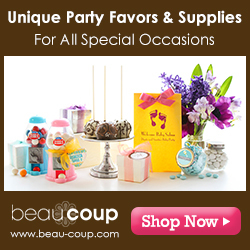 If you want to find a cute way to serve them at a party, just go to Beau-coup! Look at this cute idea! I can see cookies or Hot Cocoa Bombs sitting at each person's place in these little domes! These look like cute choices! I am not sure how big the flower shape is, but the scalloped edged set gives you options. I like the handles! They got gobbled up so quickly around here that I am ready to make another batch! I've had store bought cookies like this, but I've never made my own. They are definitely one of my favourites, and I can't wait to try your recipe. Homemade is always best! Sharing on our Hearth and Soul Facebook page. Thank you so much for sharing, and for being a part of Hearth and Soul. I really appreciate your support! Pinned - Looks like a great recipe. I love biscuits! Thanks April, I hope you enjoy the recipe! I appreciate your support as well! Just popping back to say I've featured these lovely cookies at Hearth and Soul this week, Helen! Hope you have a wonderful week ahead! Thanks! I hope you give it a try! These cookies looks fantastic! Thanks so much for sharing your post with us at Full Plate Thursday. Have a great weekend and come back to see us real soon!